I am trying to receive and send some data from a computer to an ATtiny through USB. Can an ATtiny85 IC communicate with a computer through USB? If yes, how should it be connected? 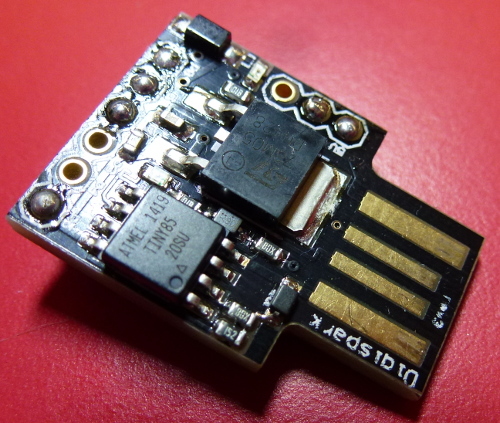 Digispark made a lot of these as part of a "cheap Arduino USB interface" project a while back. I got them for about $2 each. The board has the ATtiny85, a voltage regulator, and a handful of other parts. More information about the Virtual USB idea at USB-Keyboard with Arduino and V-USB library, an example. Can an ATtiny85 ic communicate with a computer through USB?if yes,how should be the connection? Please remember "Google is your friend". Not the answer you're looking for? Browse other questions tagged attiny or ask your own question. 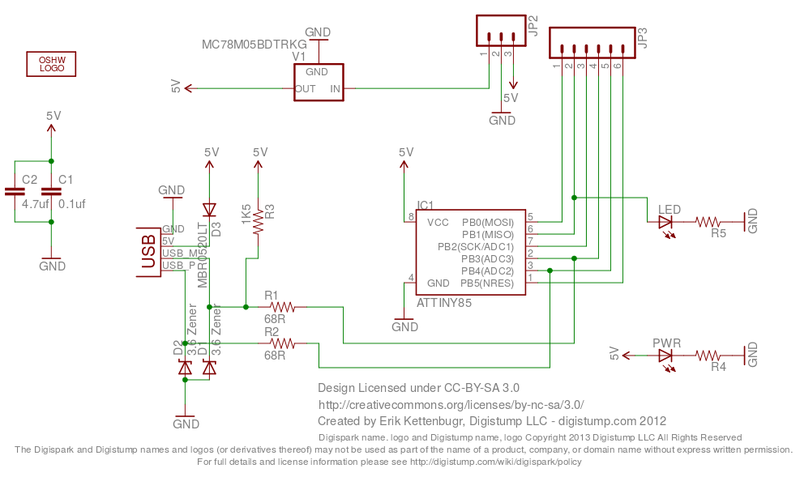 Is it possible to program an Attiny85 with a USB-to-TTL converter?